A beautiful circa 1900 solid oak glazed bookcase. Featuring leaded doors with coloured glass design, these open to reveal two internal adjustable shelves. This is situated above a cupboard base, two decorated doors and a circular motif. 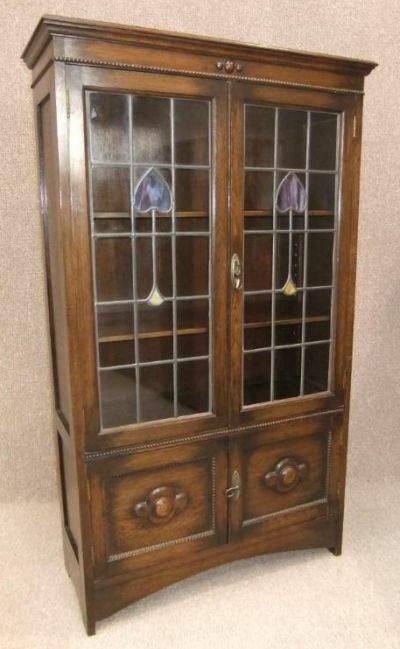 This arts & crafts bookcase is in outstanding condition for its age, and still retains its original key. An ideal piece for any home office, study, library etc.